In a cynical age that constantly drowns us with information and conditions us to be mistrustful, the majority of us harbor a deep-seated yearning for more meaning and connection. Why is that? And how can we be truly fulfilled? If you feel dissatisfied with your life and helpless to make a change, you are not alone. Many people struggle to make sense of the world and find true purpose. Two decades ago, these same feelings drove Jonni Pollard to seek out a better way of being in the world. A master teacher in India introduced him to ancient Vedic practices that changed Jonni's life forever; the anxiety that had tormented him for so many years was finally replaced by a deep sense of purpose and fulfillment. Now an expert meditation teacher, Jonni's mission is to share the knowledge and techniques he has learned to help anyone reclaim their power to live a meaningful and fulfilling life. The most foundational of these lessons is what Jonni calls "the Golden Sequence." 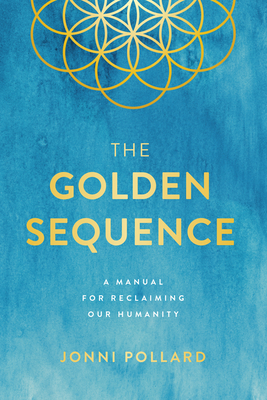 In The Golden Sequence, Jonni shares these eye-opening teachings with readers from all walks of life in the hopes that more people will be able to build happier, more authentic lives. A global leader in the field of meditation and mindfulness, Jonni's programs have already helped more than 250,000 people across the world. This book is a response to the greatest need of our time--reclaiming the power of our humanity. Through his genuine, essential lessons, Jonni presents a powerful case that the current global crisis we are experiencing is rooted in our disconnection from our true purpose and responsibility of belonging. Rediscover your authentic human nature, learn how to reclaim it as your greatest power, and find fulfillment through seeing the difference you can make in the world. Jonni Pollard is best known for bringing meditation to the mainstream through his organization, 1 Giant Mind and its Learn to Meditate smartphone app. As one of the top rated meditation apps, 1 Giant Mind has taught hundreds of thousands of people worldwide how to meditate for free. He is also recognized for leading mass meditations at some of the world's biggest lifestyle events and festivals (Wanderlust, Lightning in a Bottle, The Big Quiet). Jonni also teaches private meditation and personal development for entrepreneurs, CEOs, celebrities, political leaders and wellness experts across yoga and meditation. Born and raised in Australia, Jonni also has lived in Los Angeles and India, and now currently resides in New York City.